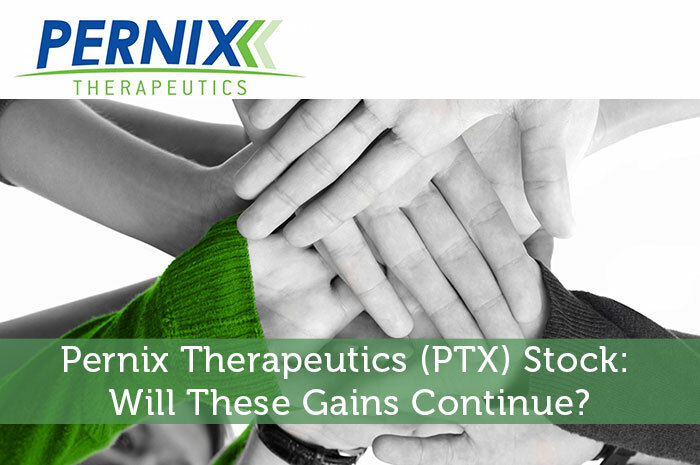 Pernix Therapeutics has had a strong run in the market recently. However, with the stock gaining so much, can this really continue? In my opinion, the answer is yes. The reality is that the company is making the right moves, at the right time, with the right backing. Today, we’ll talk about just what I mean by that and why I believe PTX is headed up! The most recent news that we heard out of Pernix Therapeutics is the fact that the company is going through a restructuring process. As a result of restructuring, about 23% of the company’s work force will be laid off. This includes 54 sales positions as well as 6 administrative staff positions. While doing so, PTX plans to work on prioritizing sales territories. At the moment, too much time is being spent driving from one prospective customer to another. As a result, the company will be shortening these distances and completely reorganizing its sales territories. The have also said that they will be improving the compensation plan for sales representatives. The goal is to incentivize field sales staff to contact prospective customers more often. Finally, as part of the restructuring process, PTX will be consolidating the Neurology and Pain sales forces. Both departments will soon be under one sales management structure. As a result, the company will realize less time consuming and costly redundancies in the process. “Since I took over the CEO duties at Pernix, we have been performing a thorough analysis of the specific market opportunities served by our products and how well they are addressed by our existing organizational structure. As part of this analysis it became clear that there were significant opportunities to optimize Pernix’s field force to more efficiently cover the most productive physicians. The actions announced today are designed to improve productivity, instill a more result-based culture and enable Pernix to more effectively serve our customers. Not only is the restructuring at PTX a good idea, it’s happening at precisely the right time. The company has recently proved that its sleeping treatment is better than the current standard of care offered. The final piece to the puzzle is something that we don’t normally see when it comes to penny stocks. Not only is PTX doing the right things at the right time, the company has incredible backing through its investors. The truth is that institutional investors are all over this thing. In fact, they own about 50% of outstanding shares according to Yahoo! Finance. With all of these institutions behind them, there’s got to be something big going on. Where do you think PTX is headed moving forward and why? Join the discussion in the comments below! Pernix Therapeutics (PTX) Stock: Will These Gains Continue?